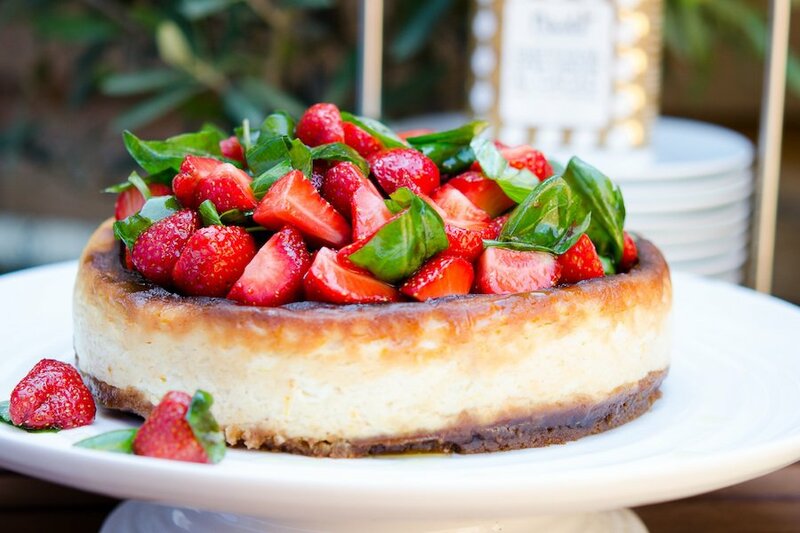 Will Torrent's strawberry cheesecake with chocolate olive oil. All photos courtesy of Jason Gibb. 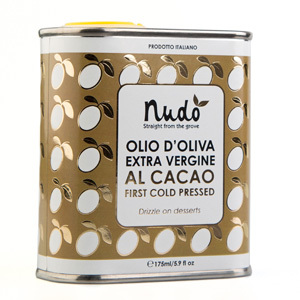 The last time we checked in with Nudo olive oil founder Jason Gibb, he was looking for Sicily's best desserts. This time, he's on a quest to see how — and if! — he can combine two of his favorite ingredients, olive oil and chocolate. THE MARCHE, Italy – Like many modern adventures, it started with a Tweet. "Jason, ever thought of making chocolate olive oil?" I might have dodged answering had the question not come from Will Torrent, an award-winning British pâtissier. As it was, I replied as politely as I could. "Sorry, no. Not too sure what I'd use it for." "How about drizzled over strawberries?" came the retort. This was, quite literally, food for thought. Corrado and Jason, olive oil partners in crime. A few weeks later, I sat in a cramped office with Corrado, my olive oil producing partner, in the Marche region of Italy. Like most Italians, Corrado believes that olive oil was created pure and simple — and that it should probably stay that way. Over the years we've worked together, he's listened with mild amusement as I've suggested different flavors we could add to olive oil, from lemons and mandarins to garlic and thyme. He has always been game and prepared samples. In fact, he takes enormous pride in the results: If you're going to mess with olive oil, at least do it properly. This means crushing the fruit, herb, and spice with the olives in the olive press at the time of harvest. Not many people do this — most make the oil and then add a cheap, synthetic flavoring. After all these years, we have trialed and toyed with many flavor combinations, and Corrado has become a convert to many. There was time to think about it. 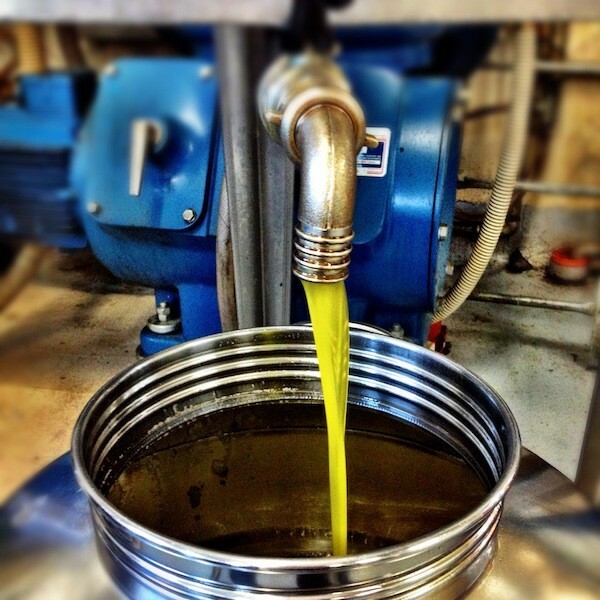 The nature of producing flavored oils as we do means we can only make them once a year, at harvest time. There was time to do some research. We discussed crushing whole cacao beans, cacao nibs, or powder with the olives and soon realized that we didn't really know what we were talking about when it came to chocolate. So to learn more, I just had to take a trip to Lucca in northeast Italy to see a man with chocolate in his blood: Riccardo Menichetti of Menichetti Cioccolato. In the 1960s, Riccardo's parents, Carlo and Alfreda, set up a little påtisserie in Ponte a Egola, a town halfway between Pisa and Florence. Riccardo grew up in and around the shop, and when Carlo and Alfreda were ready to hang up their baking gloves, Riccardo was more than ready to don them. His passion was always for the chocolate side of the business. Tirenzio dubiously inspecting the nibs. Riccardo explained that there was probably enough essential oil in cacao nibs to give a deep, bitter, nutty flavor to olive oil. He told me that cacao nibs are basically raw chocolate, pieces of cacao beans that have been roasted, hulled, and prepped to the point where all that is left to do is process them into bars. But since no one had ever made olive oil with these before, he couldn't be sure how it would turn out. Back in London, I met up with Will to discuss how he thought people could use chocolate olive oil in cooking. He had yet to convince me this wasn't just a faddy idea. Will uses a lot of our olive oil in cake baking and was convinced that chocolate olive oil would not only give a unique flavor but would also be healthier than butter and chocolate. He also suggested using it with red meat, in Mexican food, and in truffles. His conviction was persuasive. In progress: Olives being cleaned and pressed into oil. October finally came: olive harvest time. 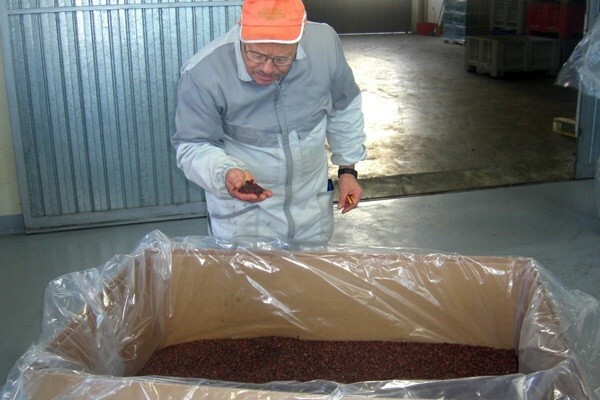 And so I found myself back in Italy at the olive press with Corrado, anxiously awaiting the shipment of cocoa nibs from West Africa via Lecco. Two hundred pounds of cacao nibs arrived in five muslin sacs and looked suitably at odds in the olive press. 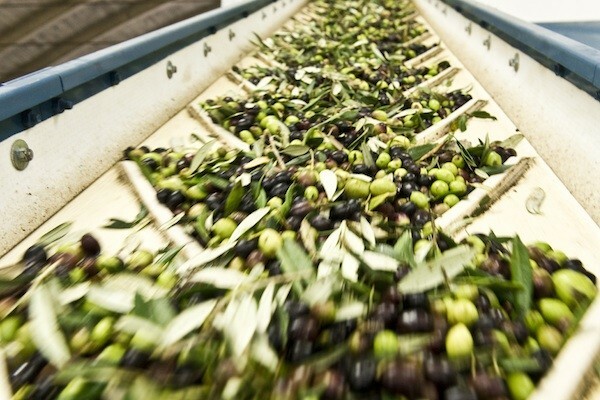 They were soon emptied into the press along with 2,000 pounds of olives that had been hand-picked that same morning. As the heavy stone wheels crushed everything to a pulp, the smell was something else. A bitter vaporised chocolate aroma was so evocative and wonderful that I'm sure I would have invented Willy Wonka right then, if Roald Dahl hadn't beaten me to it. It was chocolate heaven. 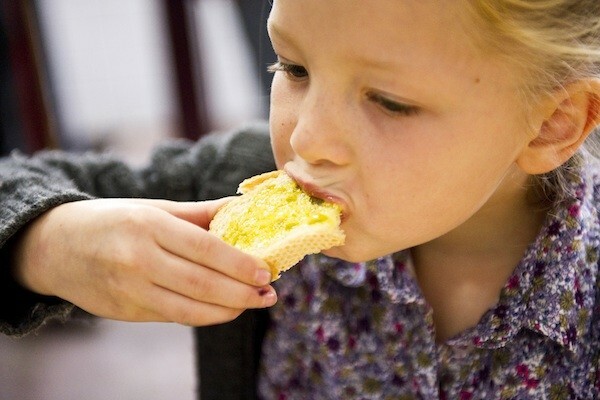 A critical step: the first taste test. Within an hour, we were able to taste the product of our planning and labor. I just wish I'd picked up that punnet of strawberries from the grocers. The mind was already spinning with delcious possibilities. 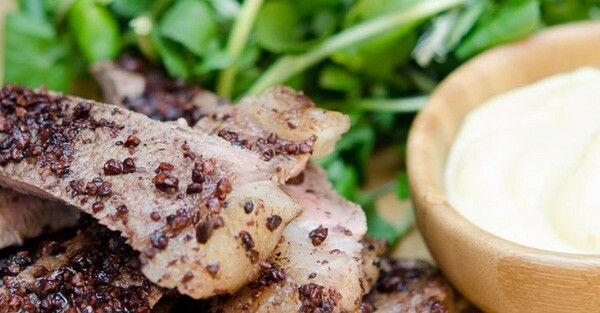 Let's put this chocolate olive oil in action. Jason is an Italian olive oil producer. He travels for the taste sensation of a new place.